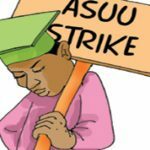 A strike action looms as the Academic Staff Union of Universities (ASUU) on Friday threatened to embark on strike over ‘the worrisome situation’ pf debt at the Ladoke Akintola University of Technology, Ogbomosho owned by Osun and Oyo states government. The body disclosed that lecturers were being owed 10-month salaries, warning that the shabby treatment of its members at the institution by both governments may trigger a nationwide industrial action. 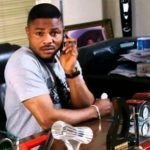 The union made the threat in a press conference in Awka, Anambra state through its Owerri zonal leadership, comprising of comprised of Chukwuemeka Odumegwu Ojukwu University, Uli, Federal University of Technology, Owerri, Imo State University, Owerri, Michael Okpara University of Agriculture, Umudike and Nnamdi Azikiwe University, Awka. The zonal coordinator, Comrade Uzo Onyebinama, accused the two governors of conspiracy to deny the workers of the institution the right to wages as well as neglect of their constitutional responsibilities of providing quality education to their citizenry. 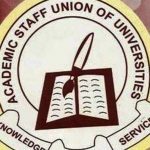 He said the union had a duty to alert critical stakeholders and citizens of Nigeria on an issue that had continued to threaten the essence of the university system, warning that the situation was capable of truncating academic programmes in the institution. 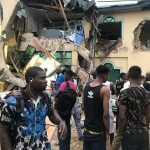 According to him, the university had continued to lag behind because of the abysmal condition of learning, governance and infrastructure brought about by near absence of funding by the proprietors of the university. 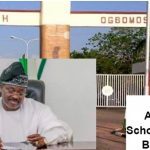 “The festering case of Ladoke Akintola University of Technology Ogbomosho, jointly owned by Osun and Oyo states, is particularly pathetic and very worrisome. 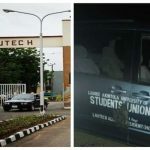 LAUTECH has continued to have problems of very poor funding since 2013 due to failure by owner state governments of Oyo and Osun, to take responsibility of funding the university. “LAUTECH has for long not received subvention and presently depends solely on funds from tuition. The university currently owes staff ten months salary arrears, (2013-2017), promotion arrears and 2009-2017 Earned Academic Allowances (EAA). “There is no evidence of infrastructural development at LAUTECH since the inception of the present governments of Oyo and Osun states. In view of this ugly situation, staff and students of the university, as well as their parents and sponsors have been subjected to untold hardship. 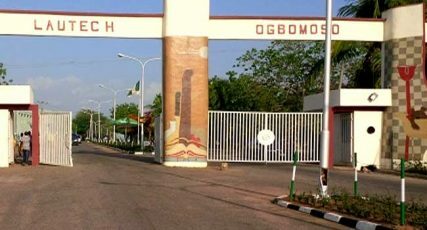 “Despite the fact that several visitation panels have been sent to the university, especially the committee set up by owner state governments chaired by Wole Olanipekun, SAN, which made recommendations for resolving the funding crisis in the university, the owner state governments have not implemented any of the recommendations. “Our union has continued to bring up issues of concern about the governance of our universities and the nation because they form part of our professional and moral responsibility as enshrined in our Constitution. The union called on members of the public and well-meaning Nigerians to prevail on the governments of Oyo and Osun states to take the training and education of Nigerian children more seriously by adequately finding LAUTECH and addressing all the welfare issues of all stakeholders in the university.